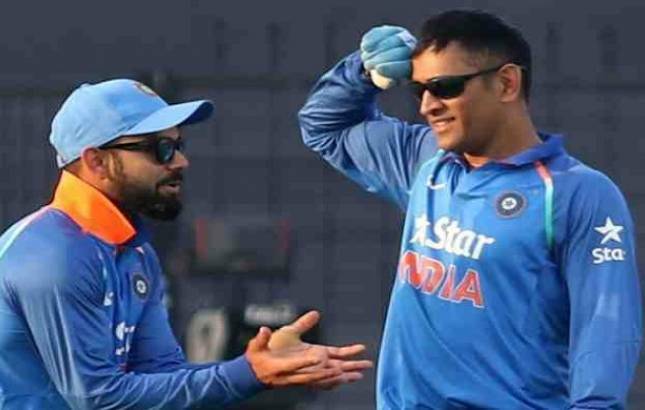 Former India captain Mahendra Singh Dhoni and senior off-spinner R Ashwin found themselves relegated from the top-paid bracket with the BCCI on Wednesday introducing an A+ category in the central contracts for which only five players, including skipper Virat Kohli, were picked. These seven players would be eligible for a contract of Rs five crore. The B category will feature KL Rahul, Umesh Yadav, Kuldeep Yadav, Yuzvendra Chahal, Hardik Pandya, Ishant Sharma and Dinesh Karthik. In Grade C will be Kedar Jadhav, Manish Pandey, Axar Patel, Karun Nair, Suresh Raina, Parthiv Patel and Jayant Yadav. The Grade B category contracts are worth Rs three crore, while those in Grade C are of Rs one crore. The annual contracts are for the period from October 2017 to September 2018. "The Committee of Administrators (CoA) was of the view that the performance and position of Indian Cricket needs to be recognised with the fee structure comparable to the best in the world," the BCCI said in a statement. "The CoA recognises that the actual income of the BCCI fluctuates on an annual basis depending on the number of home matches Team India (Senior Men) plays. "Hence, to insulate the player compensation, the CoA has sanctioned the creation of a 'Players Revenue/Compensation Equalisation Fund' (PR/CEF) to which the BCCI will contribute approximately Rs 125 crore per annum from its surplus," the BCCI statement read.